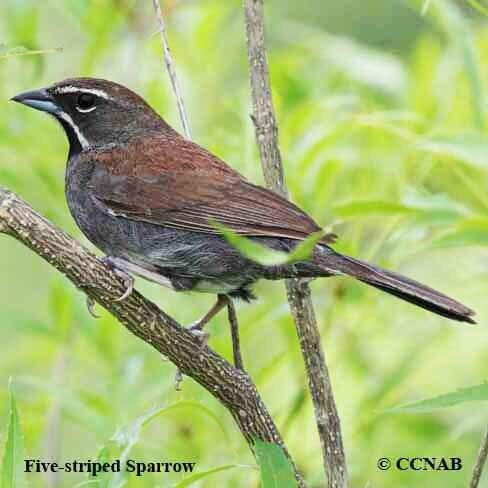 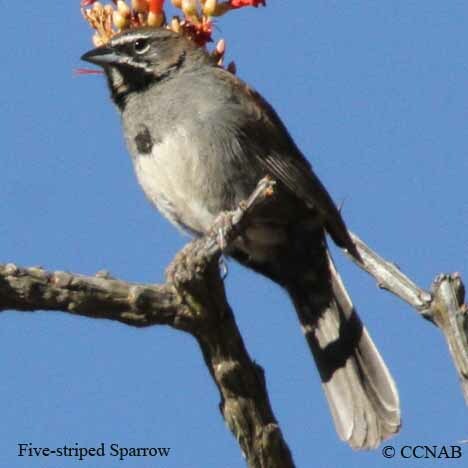 The Five-striped Sparrow is the most southern native sparrow seen in North America. 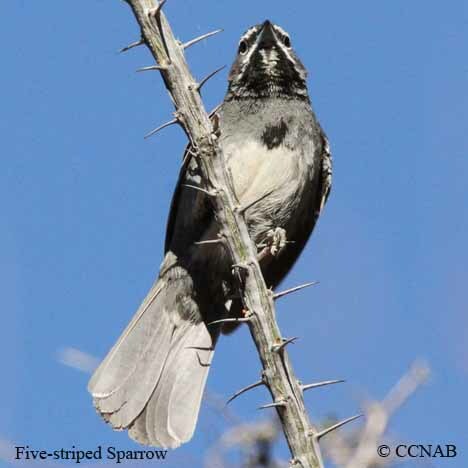 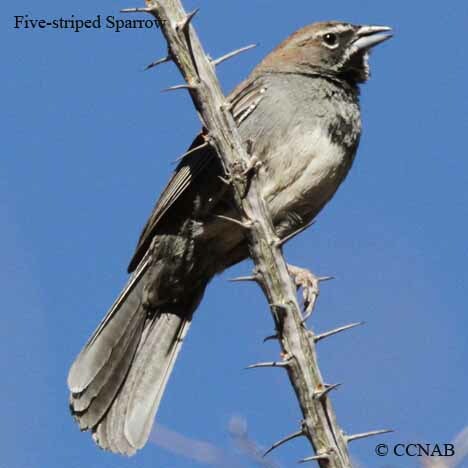 This grey, black, brown and white sparrow is found along the Mexican border and Arizona. 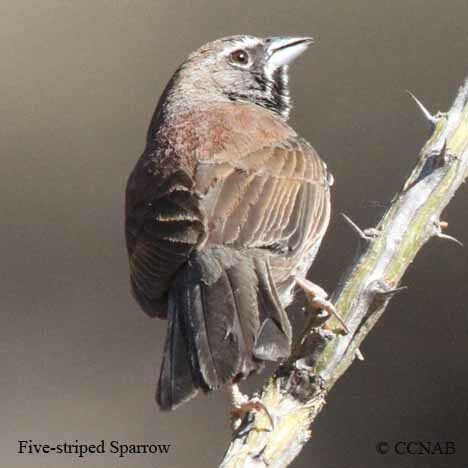 The best chance of seeing this sparrow in Arizona, requires traveling on small gravel hardly used roads into the canyons and gullies along the US/Mexican border.